Stott believes that it is still “below trend”, which is a mantra they’ve been repeating for some years now. Inflation is low, wages growth is low, and unemployment remains stuck. Sydney and Melbourne house prices have now peaked, but they don’t expect a crash, despite the 50-100% gains in prices over the last 5 years. The banks are not lending as freely as they were, and as a result, Chinese buyers have disappeared from the market. On a brighter note, mining is picking up again. Iron ore and coal have recovered from their lows. They’ve positioned their portfolios in the mining services sector to take advantage of this trend. For domestic rates, they are likely to remain on hold. Stott expects the next move will be up, but not for another 1-2 years. Unless we see inflation, rates will remain where they are. Stott says they’ve observed a recent shift from digital back to traditional in advertising, which is a major reversal of the trend we’ve seen over the last 10 years. Channel Nine, Channel Seven, WPP have all said that they were seeing this. The problem appears to be that advertisers can’t trust the data. Some companies are paid to click on ads to manipulate data. He believes this theme will take 2-3 years to play out. The new CEO is moving company towards digital. Stott believes that the loss of the Cricket rights is actually a positive for Nine, as they were losing about $50m per year for this broadcast. The Australian Open tennis will replace the cricket, and while it’s also expected to be loss-making, the losses should be much smaller than the cricket. The net benefit to Nine should be around $35-40m. They’ve recently reduced the holding as the weighting was too high after the price appreciation, but they expect further earnings surprises to the upside from here. A controversial company following the 4Corners investigation last year. Aveo is an operator of retirement homes, but the ABC accused them of having high fees and poor care. It was a PR disaster. WAM has owned the stock in the past, and Stott says he has faith in the CEO. The discount to NTA is now 30%, when competitors trade at or above NTA. This was enough to have them buying. Enquiry levels are now back above levels they were seeing before the investigation. This was an early investment for the microcap portfolio. The new CEO was appointed about a year ago, but he was previously the 2IC at Westpac, working directly under Gail Kelly. Stott says they asked themselves; ‘Why would he go from Westpac to a $50m microcap?’ It was enough to pique their interest. The CEO is looking to grow investment bonds business, and he has a high-quality team. The real reason he’s so excited though is the lack of broker coverage, in fact, only one other fund manager on the share register. Completely undiscovered. People often ask; how do we find stock ideas? At the end of every day, they scan all the ASX announcements to identify anything interesting – that’s how they found Generation. While the outcomes from the Royal Commission are highly uncertain, one thing you can be sure of is that a lot of laywers will get rich. The cost will be around $300m-500m, split between govt and banks. There are two issues for the banks; cost of funding, and the availability of credit. One of the big questions coming out of the commission is; what is a “reasonable enquiry” regarding credit applications? Do you have to collect every individual’s expenses, or can you use a standardised measure (HEM)? If you change HEM, it may reduce availability of credit. This big risk is that credit growth fall overs, which could hurt the economy. Haupt believes the likely outcome is a staged approach to changing HEM so that the market doesn’t contract too badly. He believes that the bank stocks are trading opportunities in the current market, but not ‘buy and hold’ investments. However, IOOF has fallen almost as much as AMP despite not having had any of the same issues (so far). The big question is whether the regulators will separate advice and platforms. The banks are already divesting their wealth management arms, which Haupt says they support. Are the bears coming for Goldilocks? Everything continues to run smoothly in the global economy – nothing is out of kilter currently. However, The Fed expects to raise significantly in the coming years. This also impedes growth due to the higher cost of money. Haupt believes the neutral rate in the US is about 2.9%, so the economy and market won’t roll over before this level is reached. It’s too soon to exit. Haupt estimates that 2020 is the time for a recession or slow down, so investors should remain exposed to equities through til about halfway through 2019. In 2014, OPEC fell apart as they tried to squash the US shale industry. It worked, but oil fell to $23 and it backfired. In Dec 2016 they restored their old quota system. Oil has since rallied from the low $20s to over $70 per barrel. OPEC has now achieved their goal of getting oil inventories back to their 5-year average. In June they decide whether to keep the current agreement, which runs out in December. The Saudis looking to float ARAMCO, and they want a $1t price tag, so they’ve got plenty of motivation to support the oil price. It should come as no surprise then that they’re leading the cuts. Even Russia, a non-member, wants to extend the deal. A $70 oil price looks about fair. Demand is exceeding expectations, and excesses are gone from the system. One of the key thematics for BHP is divestment and paying down debt. In a few years, they’ve reduced their debt from $35B to $10B. In the next month, they should begin to receive bids for their US onshore oil business. BP and Shell both have both indicated that they’re interested in the deal. The assets come with a $8-10B price tag. BHP has $13B of franking credits on the balance sheet. If they divest the oil business, they could pay out a special dividend of as much as $3 per share. On the downside, they’re still dealing with the fallout from the Samarco disaster and we’re still unsure of the fine or remediation. However, Haupt believes there’s a low probability that it will be large enough to have an impact on their earnings. The China slowdown has not materialised, and iron ore and copper are looking good. 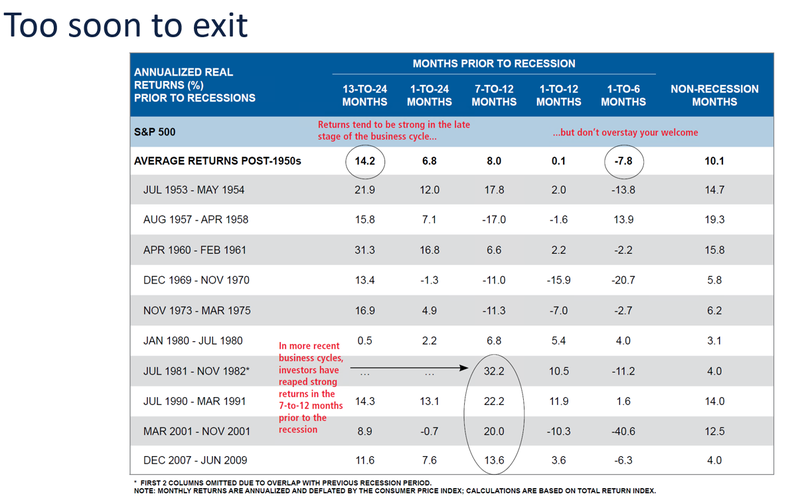 Hew says that commodities often go for a run at the end of a business cycle. The perception is that MQG is still an investment bank, making its money on broking and debt markets. In reality, MQG is the biggest player globally in infrastructure management. 70% of their earnings are recurring, meaning they have a high degree of earnings certainty. Macquarie has been investing since the GFC, and they’re now starting to reap the results. Haupt believes it’s highly likely that the earnings upgrades will continue for the next 3-5 years. 80% of James Hardie’s earnings come from offshore, particularly the US. James Hardie was looking cheap due to production issues in the US as a result of high demand. They over-ran their plants, which caused breakages and outages. Too much demand is precisely the kind of problem you want to have as a business though, as production issues can be fixed. They expected earnings will continue to be upgraded over the next few years. One of the key risks is that the long-term CEO is hinting that he might leave. But Haupt thinks they have the right structure is in place to handle this. The overall thematic on the industry is positive; US housing starts are still below long-term median. If they move back to that average, there’s a lot of upside in James Hardie. Catriona believes that we’re still in the goldilocks period. Volatility has been low, but this is all changing. Rates should start to go up, and volatility with it. Burns says this is exciting, as it allows them to find more stocks that fit their process. There must be a catalyst for a re-rate. Burns has been travelling the global in recent months to prepare for the upcoming listing. Here’s what she’s found. The economy is firing on all cylinders. With 90% of companies having now reported earnings, 80% of them have beat expectations. The housing market taking off but has a decent runway of growth to go. They’re noticing Amazon having a real impact now. Prime has taken away friction from ordering online; in New York, some people are getting an Amazon box delivered every day. Proctor and Gamble, Unilever, and Nestle are all struggling due to their failure to innovate. On the other hand, travel retailers, luxury goods, beauty, and spirits are all growing well. Outside retail/consumer stocks, those geared to infrastructure spend are also doing well. This biggest company of its type in the US, twice the size of the next biggest competitor. Despite its better growth profile, the stock is much cheaper than Cleanaway. This is a company that should do well if the economy starts to struggle. Lear is the number two manufacturer of car and truck seats. It doesn’t matter if cars go electric or autonomous, they still need seats. The stock trades on an 11% free cashflow yield, and it’s bought back 40% of the shares on issue since 2011. The number one player in the industry is highly leveraged and losing market share. Burns believes that political changes in places like Italy and Frances are hiding the interesting companies. This is the REA or CarSales of Europe. Based out of Germany, this company is run by the former CEO of REA Group, Greg Ellis. The current market cap is about $4 billion, compared to REA, which is capped at $11B. Europe is a much larger market, and it’s earlier in its adoption cycle. As CEO of REA Group, Greg Ellis saw the share price go from $5 to $38. Logitech has a high quality management team, and a focus on R&D. While they’re more well known for their mice and keyboards, the real growth area is gaming, which has seen 30% growth p.a. over the last five years. Headsets are now seeing significant growth (high quality headsets are essential for highly popular new games such as Fortnite and Player Unknown’s Battlegrounds – ed) Logitech are partnered with both Amazon and Apple, and are sold in Apple stores.